In this time of economic down-turn it’s even more important to plan to succeed. We all want success whether it be clinching a job interview, impressing a first date or just plain making a connection with people. These situations can be quite stressful, but for some it can feel like an insurmountable hurdle. Let me share some tips I’ve found extremely helpful. Step 1. Get your mind right! If you believe you’re going to fail, you probably will because our behavior matches what we believe. You’ll set yourself up for failure. Talk back to that inner voice that says you’ll fail. Talk to yourself as you would to your best friend. Become your best friend. Start behaving like a successful person and see the change in how people react to you. The word “SOLER” is an acronym for how to successfully engage with people. 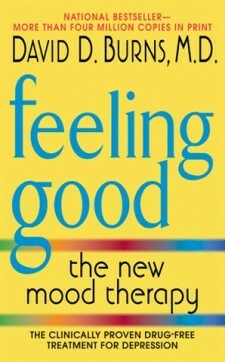 I learnt it as a student social worker and have found it enormously helpful. These techniques make other people feel relaxed and comfortable. Use the SOLER principles when relating to people no matter what the circumstances. You will impress them with your relaxed manner. S – stands for SQUARE. Sit facing a person ‘square-on’ or just slightly off ‘square’. This shows the other person that you are giving them your full attention. O – stands for OPEN. Body language can reveal a lot! Crossing your legs away from the other person or folding your arms puts up a barrier. Sit with your legs uncrossed, fold your hands on your lap or rest them on the arm rests, in an open posture. L – stands for LEANING into the conversation. Slouching back in the chair gives a message of not wanting to engage. Look at couples in any restaurant. Young lovers lean into the conversation, gazing into each other’s eyes, entranced by every word that comes through their lover’s lips! Notice those who ‘lean out’ of the conversation. Oh, the joys of being in love!! E – stands for EYE CONTACT. Looking someone in the eye gives a message of honesty and wanting to connect. Have you ever greeted someone who gives you a fleeting greeting while looking in the other direction! It gives a message of disinterest whereas it’s probably more often a symptom of anxiety. Smile and look the person in the eye when you greet them. Focus on making them feel important and relaxed! Look at the person speaking to you. It can be quite irritating speaking to a person whose gaze is elsewhere as they convey a message of disinterest. R – stand for RELAX. Become aware of nervous habits like shaking your legs, fiddling with your hair, or scratching your head while speaking. These habits can be quite distracting. I tend to use a lot of hand language. I realize this is a distraction when I notice people looking at my hands rather than at me! If you’re not aware of any habit that distracts others, ask a friend who will be honest with you. Some people stress about what to say when they first meet a person. Just remember that ‘first conversations” have the sole purpose of letting the other person know you’re interested in connecting. It’s not a time for showing off your great intelligence with profound insights. It’s really a time for making small talk about things like the weather. The intelligent stuff can come later! Change what you believe about yourself, and start acting confident. Good luck and have a good SOLER week! !